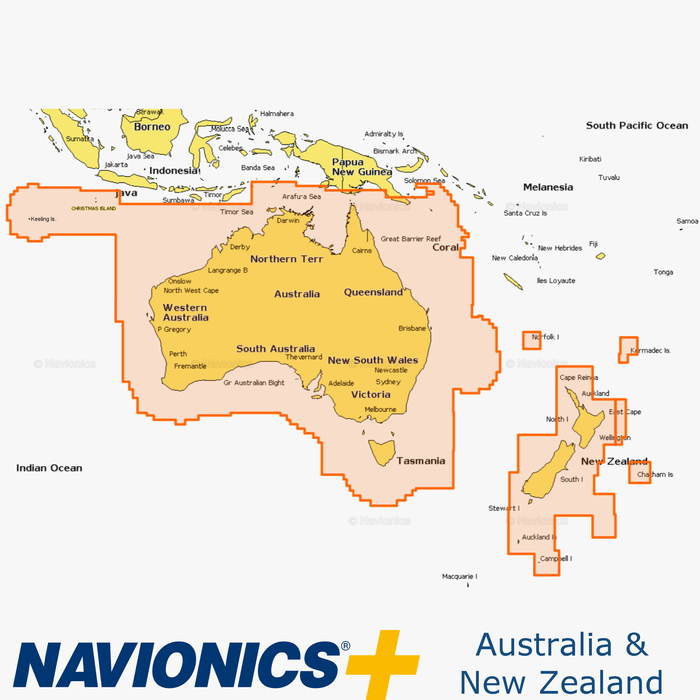 Navionics+ Australia, New Zealand, Tasmania, Norfolk and Kermadec Is. Australia, New Zealand, Tasmania, Norfolk and Kermadec Is. This award-winning Navionics collection of both navigation charts and sonar bathymetry is optimized for use in iNavX.